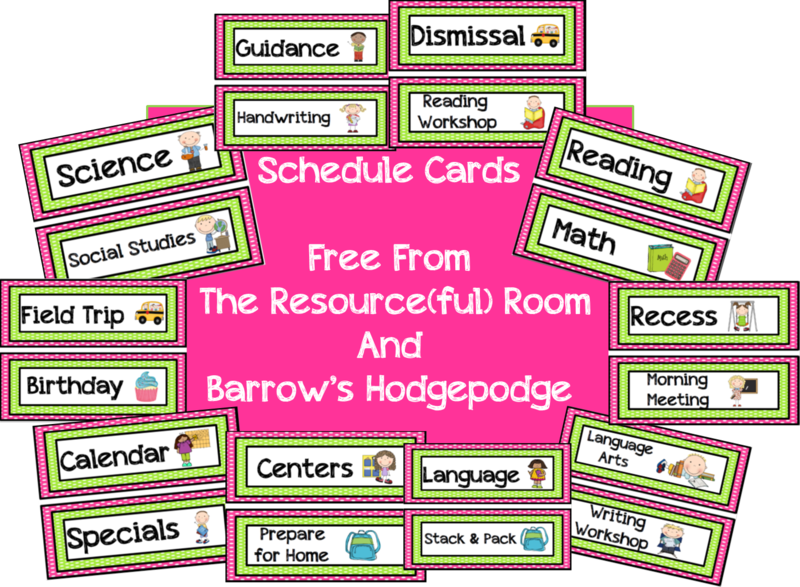 Freebie Friday...Schedule cards Collaboration! - The Resourceful Room! I worked all day in my classroom, it's looking great!! It makes me so happy :) but I forgot the Camera so no pictures to share until Monday, when my summer officially ends and I have to report for PD at 8:00 am! While I'm excited to get started if feels like summer had an abrupt end and I still have so much to do!! 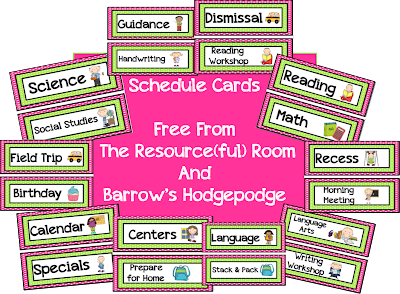 This past week I was excited when Mechele from Barrow's Hodgepodge contacted me about the freebies I've been sharing and we decided to work together!!! I sent her my designs and she was so wonderful to make schedule cards to go with a few of the sets!! She was so helpful, being a special education teacher in a Resource Room I really don't use most of these cards, my schedule looks more like 4th grade reading, 4th grade math, 5th grade reading, 5th grade math, 6th grade reading, 6th grade math, so Mechele was able to give me a great list of things many teachers would be needing for their schedule. If your looking for the blue/green set, yellow/ black set, red/black set, or jungle print set head on over to her blog to get them!! I have an exciting giveaway coming up tomorrow, it's not really school related but you could win something to wear back to school so stay tuned!! Happy Friday! Thanks! At the end of last year I was writing the schedule on the board each day.I hope this will be easier! What is the name of the font that you used on these cards? Could you also add a blank card to these. I would like to be able to add things that are unique to my classroom. Amy, you are so amazing!!! I am just in awe that you are so willing to share your hard work with us. You sure make our jobs a bit easier. God bless you for your sweet generosity! Absolutely adorable!!! You are so creative! Any chance you might consider making these in your super cute Dots on Chocolate as well? I'd be sooooo appreciative! Sure sue, I just need an email to send them to! I love these! Especially the PINK and Green, what a great FREEBIE!! I've been loving all of these freebies you've been sharing. I've been downloading the blue/green sets. Thank you so much for creating and sharing such great resources! These are amazing. Thank you for sharing and creating such amazing freebies. Thanks so much Amy! I hope we can work together again! Thank you so much! These look awesome! 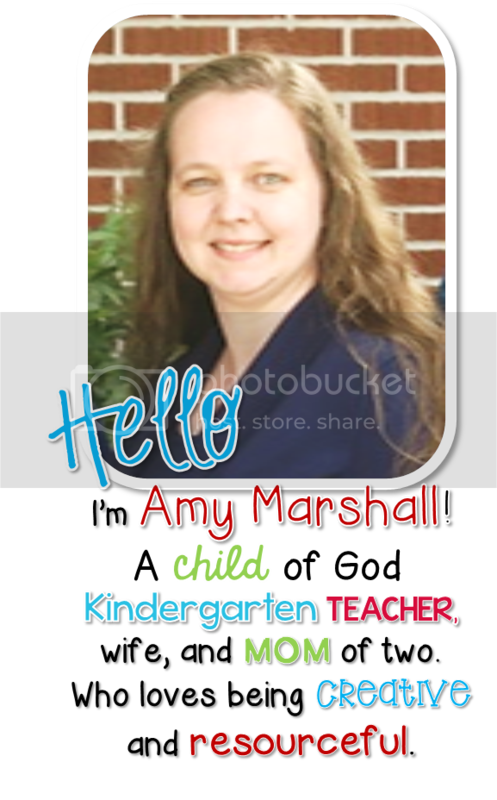 Amy, I love your blog-you are amazing! Thank you for sharing all of your hard work with us, everything is awesome! I agree with a post from a few days ago...anyway you'd be able to make these schedule cards using dots on chocolate? I'm obsessed! Thanks for being so great! Holly I will but I need an email address to send them too! Thanks so much for stopping by! Very cute blog and great freebie! I love these. Yes, I already have schedule cards...yes, I'm tired of laminating...yes, I totally saved these and am going to print them as soon as I can. Thanks so much!